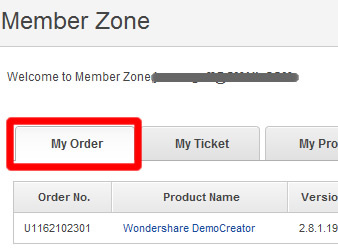 In general, we provide free updates of software program purchased from Wondershare Software. However, the main upgrades with great improvements are need to pay. Check the eligibility chart for upgrade options and pricing based on the software you currently own. To get upgrade purchase link, fill and submit following form. $39.95 to upgrade to PPT2DVD Latest Version from 1.x-4.x. $50 to upgrade to PPT2DVD Latest Version from Lite 5.x. $50 to upgrade to PPT2DVD Latest Version from PPT to Video. Below is the detailed guide on how to upgrade your program for free. 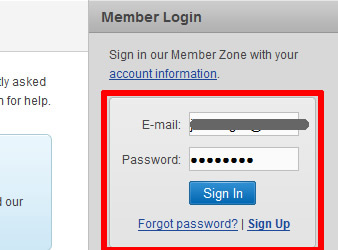 Login in our self-service ## system with your license email and password that was sent to you by the confirmation mail. If you forget your password, please click "Forget password" and then we will send the password to you again. Click "My Order", then you can find the detailed information on your order. Click "Detail", then you will find the latest version you can upgrade to. Click "Upgrade" to send your upgrade request, we will send you the new registration information to your registered email address shortly.